ExpressVPN vs IPVanish VPN vs ExpressVPN vs IPVanish VPN 2019 - 5 Tests, 1 Winner! ExpresssVPN and IPVanish are two of the biggest names in the field of online security and privacy. 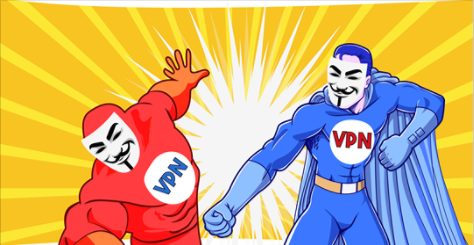 Both have a long history of providing VPN services to users everywhere. ExpressVPN started back in 2009 and is based in the British Virgin Islands, while IPVanish started back in 2012 and is based in the US. One of the leading points in IPVanish over ExpressVPN is that IPVanish allows its users to connect to up to 10 simultaneous devices while ExpressVPN only allows 3 simultaneous connections. However, ExpressVPN takes the lead again when it comes to customer support as, unlike IPVanish, they provide their users with a 24/7 live chat customer support, while IPVanish relies on an email ticketing system only. Although both VPNs work in China and allow unlimited server switching, Netflix is only accessible with ExpressVPN. In addition, ExpressVPN offers more features, such as: Split Tunneling and a built-in speed test. As for security, Both providers use a 256-bit AES encryption and same protocols, but IPVanish has added IKEv2 to its list of supported protocols.Both providers have public Wifi security. The ExpressVPN’s network of servers consists of over 1000 servers in 148 locations, spread across 94 countries around the world. This is very similar to IPVanish’s network which is made up of over 1000 servers spread across almost 60 countries around the world. As for pricing, ExpressVPN costs a bit more, but they offer a 30-day money-back guarantee, whereas IPVanish only offers a 7 day money-back guarantee. IPVanish offers high speeds and it is a high-quality VPN overall, but Express' feature-rich and intuitive software is hard to beat. Click here for the latest coupon codes. Best VPNs for Torrents Both ExpressVPN and IPVanish offer torrenting on any of their hundreds of servers, but ExpressVPN provides faster speeds. Both ExpressVPN and IPVanish offer torrenting on any of their hundreds of servers, but ExpressVPN provides faster speeds. Best VPNs for Windows When it comes to connection speeds for streaming movies and shows, ExpressVPN takes the lead but when it comes to online security, IPVanish surpasses for supporting more security protocols. When it comes to connection speeds for streaming movies and shows, ExpressVPN takes the lead but when it comes to online security, IPVanish surpasses for supporting more security protocols. Best VPNs for Android Both providers are packed with features in their Android apps. However, ExpressVPN provides more features than IPVanish, such as: Smart Location, OpenVPN set by default, the ability to save your favorite server locations and optimized servers for higher connection speeds. Both providers are packed with features in their Android apps. However, ExpressVPN provides more features than IPVanish, such as: Smart Location, OpenVPN set by default, the ability to save your favorite server locations and optimized servers for higher connection speeds. Best VPNs for Mac The ExpressVPN and IPVanish VPN app for Mac both provide their users with a kill switch, but the ExpressVPN app for Mac offers its users with other features, such as: Connection Per App (split tunneling) and OpenVPN as a standard, built-in protocol. The ExpressVPN and IPVanish VPN app for Mac both provide their users with a kill switch, but the ExpressVPN app for Mac offers its users with other features, such as: Connection Per App (split tunneling) and OpenVPN as a standard, built-in protocol. Best VPNs for iOS IPVanish allows up to 10 simultaneous connections which means users can secure all their iOS devices such as iPads, iPods, and iPhones, while ExpressVPN only allows up to 3 simultaneous connections. IPVanish allows up to 10 simultaneous connections which means users can secure all their iOS devices such as iPads, iPods, and iPhones, while ExpressVPN only allows up to 3 simultaneous connections. Best VPNs for USA Since IPVanish is based in the US, many users might think that this makes it a better VPN for the US, however this is the same reason it might be a risk due to it being placed under the data retention laws of the US. On the other hand, ExpressVPN is based outside of the US but owns several servers within the US making it the better option. Since IPVanish is based in the US, many users might think that this makes it a better VPN for the US, however this is the same reason it might be a risk due to it being placed under the data retention laws of the US. On the other hand, ExpressVPN is based outside of the US but owns several servers within the US making it the better option.